sea level, distinctive flavours and aromas are acquired. Find pleasure in tasting them. Flights and accommodation not included. 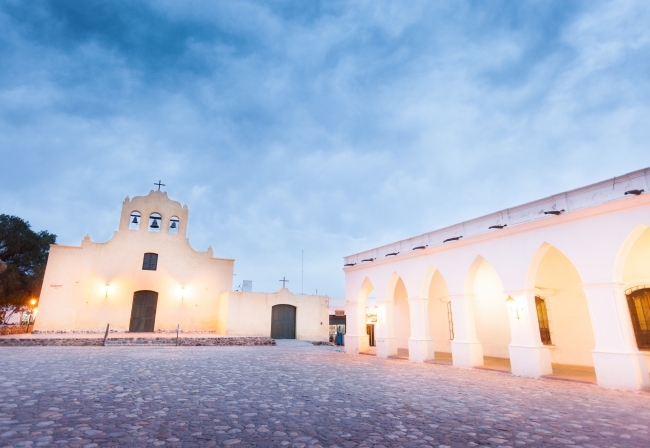 Day 1: City of Salta – San Lorenzo: Meeting at the airport and transfer to the hotel. historical quarter. Visit the food markets to learn about spices and vegetables. Lunch. Typical foods’ cooking class. Regional dinner and night in San Lorenzo. Day 2: Salta - Cachi: drive through the towns of Cerrillos, La Merced and Chicoana, famous for its tamales. Los Cardones National Park. 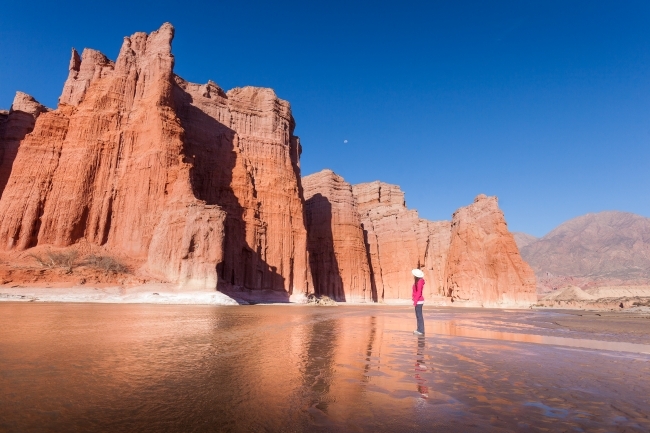 Visit Amblayo, a town where Salta’s most famous goat cheese is made. Day 3: Cachi - Seclantás - Molinos: visit the Artisan Road to Seclantás. Visit homes where the typical Salta poncho is woven in looms in their courtyards. Visit a winery, altitude wines´ tasting. Day 4: Molinos - Cafayate: explore the towns of Animaná and San Carlos, surrounded by vineyards. Lunch in Cafayate at a winery. Guided visit to learn about the production of the emblematic Torrontés white wine. Visit the Vine and Wine museum. Day 5: Cafayate - Salta: drive through the multicolour Quebrada de las Conchas. Visit the Cabra Corral dam with its amazing mirror of water. Dinner at a folklore peña – restaurant – with a tasting of altitude wines. Day 6: Transfer to the airport.